Make sure that everything is taken care of before leaving for a new life in Costa Almería. Restrictions and taxes on your shipped household items. Taxes that are involved in shipping your car to Spain. Vaccines and quarantines for pets, maybe talk to a local vet or your UK vet should be up to date with the requirements. Insurance for your property and car, boat or caravan/motor home. 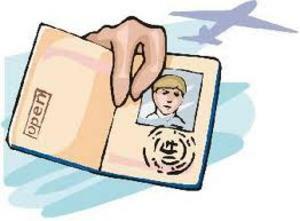 Filing your applications for passports, visas and permits as soon as you can. It is best to do this as early as possible as this process can take time to complete. We would also suggest it is wise to renew early if any of these documents are set to expire in the near future. Gathering your important documents required. Please request official copies of your important personal documents and always allow at least several weeks to receive them. We can arrange for an official translation if required. All of your families birth certificates and your marriage certificate. Your social security cards and information. Your families and pets vaccination, medical and dental records for all parties moving here with you. 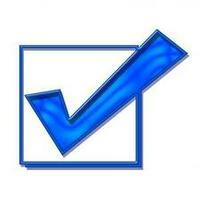 If you have any academic records or diplomas that may help in your search for employment. Employment records are always useful. Your living will and testament, although we do suggest you take out a Spanish will. You can contact Spanish Property Choice for our list of international moving and shipping companies or use the web to obtain quotes for transportation of belongings. It can take over a month for goods to arrive, plan ahead when scheduling your shipment or you may be sleeping on sun loungers! Anyone planning to drive a vehicle here in Costa Almería, Andalucía will need to ensure they have the correct insurance. Requirements vary, so select an insurance provider with the expertise and resources to ensure the policy is appropriate, Spanish Property Choice can offer you a selection of the best insurance providers within the region, FSA registered and underwritten by Lloyds of London. International personal property insurance, this can include transit and destination coverage and protects items damaged during your relocation process. Some insurance providers specialise in relocation and expatriate insurance please talk to us for further information. Even though Andalucía has a socialised healthcare system, not everyone may be eligible to be covered. This may require an individual policy that includes medical protection and repatriation services. 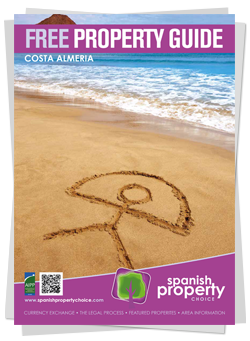 Review your existing bank accounts and notify the banks of your intended relocation to Costa Almería. 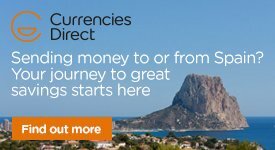 Also consider online international banking and set this up prior to you leaving, which makes it easier to transfer and manage funds between your existing bank account and your Spanish bank accounts. If you or any of your family members take prescription drugs, its best to purchase additional quantities and if you can obtain a copy of the medical file related to your condition. One little tip, keep these in your hand luggage just incase any bags are lost in transit. Renew your driving licence (if relevant) before you leave. Get an international driving permit/licence (IDP/L) and carry both the IDP/L and national driver’s licence whenever driving in Costa Almería. There are tax rules for foreign earned income, so determine the tax obligations and gather the necessary paperwork, contact us for further information. If you intend to bring your pets with you, ensure they receive the correct vaccinations and make sure they have identification microchips, this is a requirement in Andalucia. Finding a pet carrier can be an issue but the airlines will provide the correct sizes for transit at a fee of course, pets can not travel on airplanes without them. And of course needless to say should you decide to not bring your pets with you, please allow enough time to find them a new home. Should you need to book flights, or maybe stay in a hotel or rent a property prior to you moving here then please contact us for further information and we will be happy to help. But always make any necessary travel arrangements as soon as your completion dates are set.